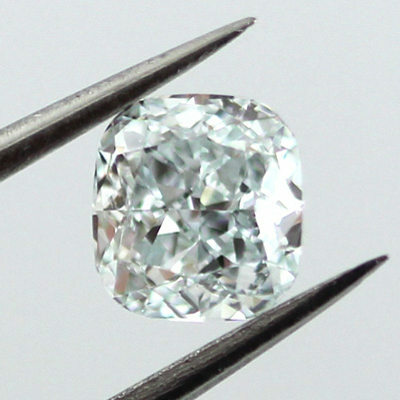 Half a carat gia certified fancy light greenish blue diamond. The secondary touch of green gives the diamond an interesting and elegant shade. A beautiful blue diamond with strong brilliance.